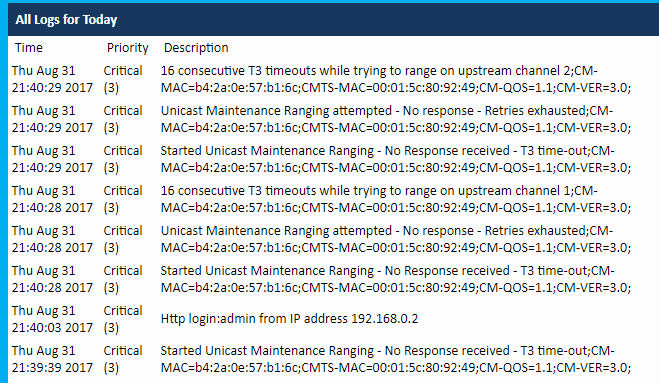 Modem works fine until these random outages. Do you have cable boxes on all 4 ports? If not, there must be terminating resistors on unused/ open jacks on that 4 way splitter. Do you have TWC phone service? If so, there may be an IPv6 issue. Only one cable box on one of the 4-ways, it is an Arris DCX3200-M box supplied by TWC. The rest have nothing connected. If I buy some terminating resistors, should I put them on the wall plates or on the 4-way splitter itself? 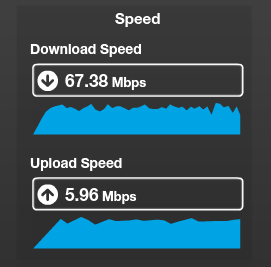 EDIT: I connected just the Modem and Cable box to the main 2-way splitter, eliminating the 4-way for now. I'll give that a while to see if it helps at all. ZIP code was posted in the first post already, but I'll post it again, 04106. I do not have the phone service, I use a cell phone instead. I believe it's just called a "Double Play" package (TV / Internet). 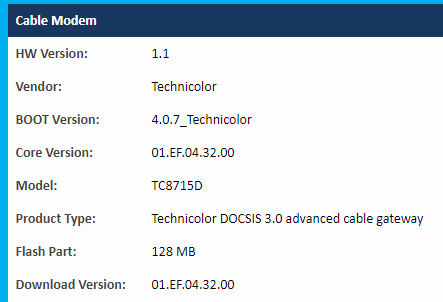 This modem actually has something similar to what you are looking for regarding corrected / uncorrected, maybe this is it? These are the counts since yesterday. The 2 way with only 2 devices connected is the way to go, eliminates a dozen connectors and cables. See if this behaves better,,,, the tech that was last out should have done just what you did. There may still be problems elsewhere in the building/ out on the pole. The corrected/uncorrected image was taken before the splitter change, but all numbers are still increasing. Still having T3 time outs even with just using the 2-way splitter. This was just a few minutes ago. So I can probably rule out the 4-way as the cause because it's not connected. 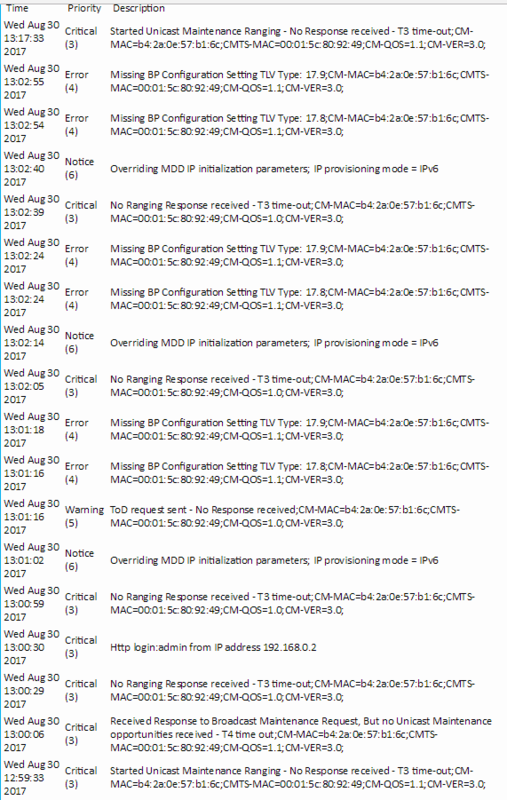 Copy and paste the signal level page again, There's some sort of upstream level or interference issue, possibly on the entire node. 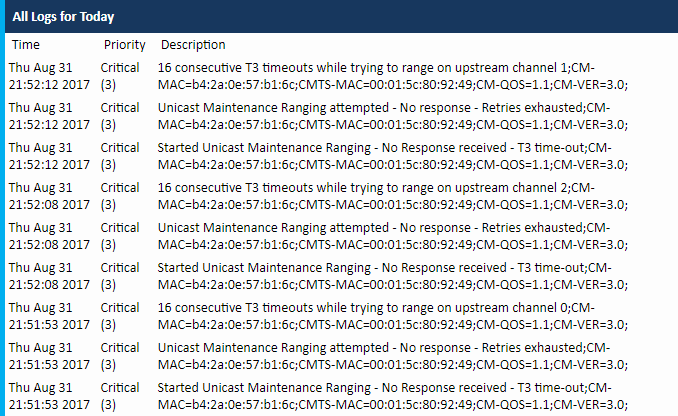 TWC/Spectrum does little to track US ingress issues... Need to see if it's a severe level change. Long T3's = a T4 which resets the modem to try and get "better" channels of which there are none. Downstream/upstream levels look virtually the same as the first images I posted when the connection works fine, but I want to try to see these values during a downtime to see if it's any different, but it's a matter of luck and good timing. 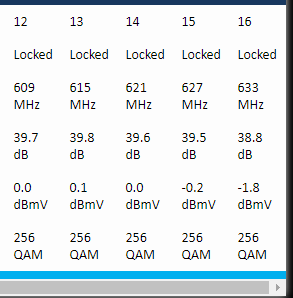 I haven't gotten any reading on the upstream power levels when the connection is down, yet. However I got reading inbetween outages, and the upstream power levels went up to 51-52 instead of the normal 44-46.